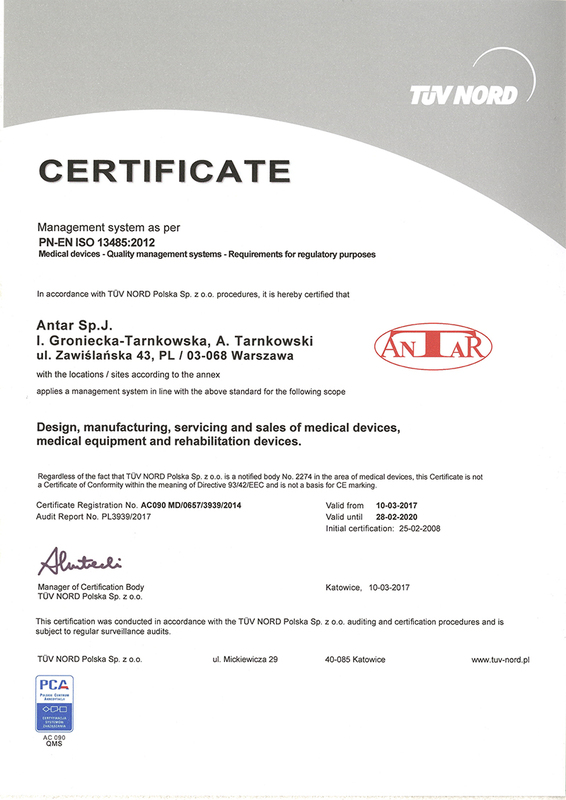 Our production facility located in Szydłowiec produces high class European Made orthopedic cushions, rollators, walkers and chairs under the brand “ANTAR BLUE LINE”. Our products combine excellent quality and competitive prices. We are also the exclusive distributor in the region of Central Europe for OPPO, KARE, KARMA, SOMA, FDI, TAIWAN STANCH products. Our products are available in a few thousand medical stores and pharmacies in Poland, Germany, Czech Republic, Slovakia and Belarus. 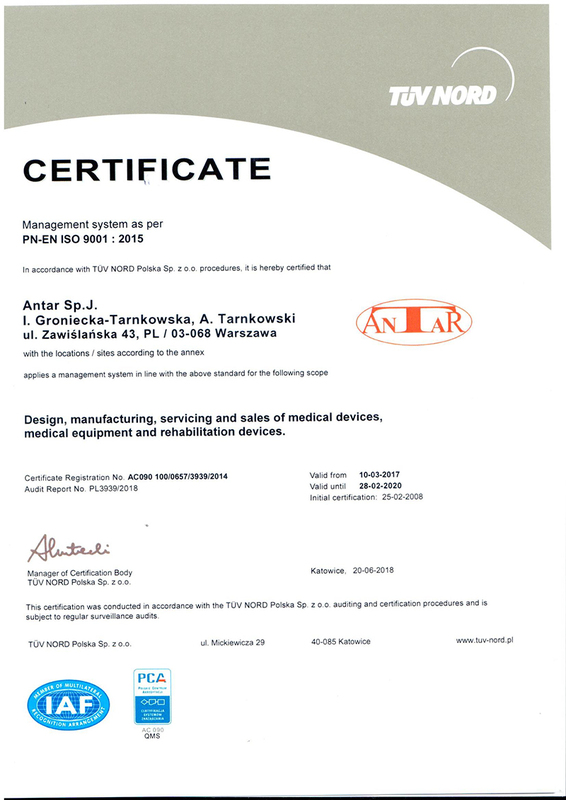 ANTAR is ISO 9001 and ISO 13485 certified company.